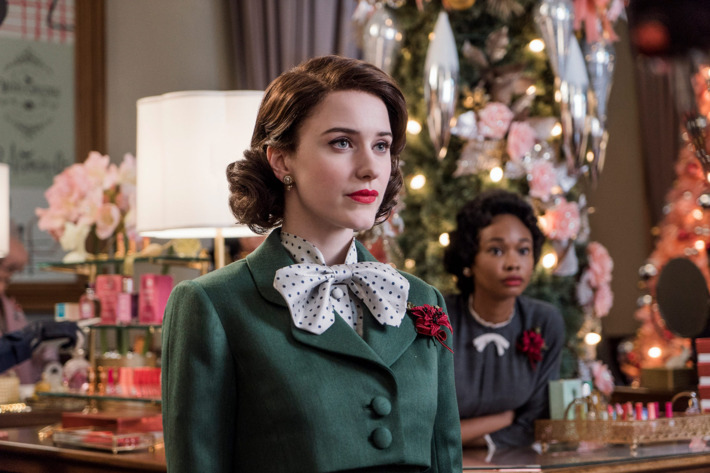 I love period dramas, especially from the ’50s, mostly for the costumes, and I can’t believe I haven’t heard of the Marvelous Mrs Maisel up until now, although honestly, I find out about new shows mostly from fashion websites. 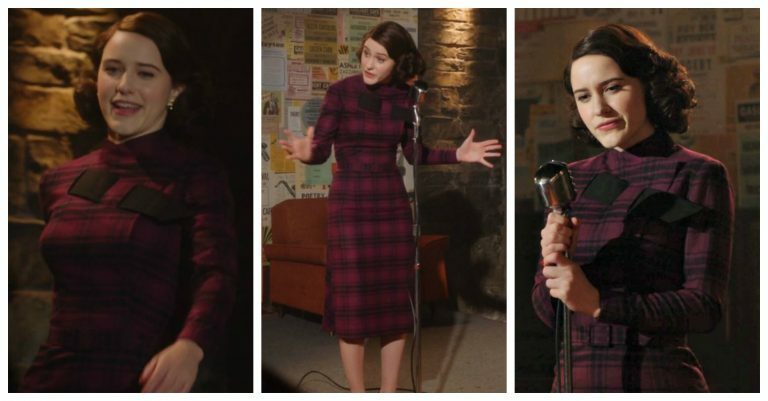 First, about the show: Mrs Maisel is a happily married rich Jewish woman with two kids, and she is a perfect wife in every way: beautiful, smart, funny, and most importantly: her style is on point from day to night. Then one day her husband decides to leave her for his secretary (how original), she gets drunk and finds a career as a stand-up comedian. I knew I’d love the show as soon as I saw her wedding dress in the opening scene. 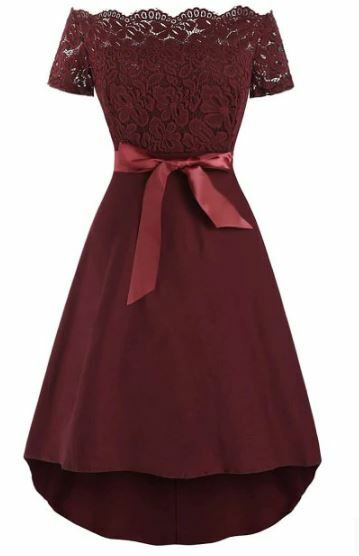 I love bows on vintage dresses and also on a blouse with a blazer. The actress and this dress kinda remind me of my all-time favorite fashion icon, Gwen Stefani. 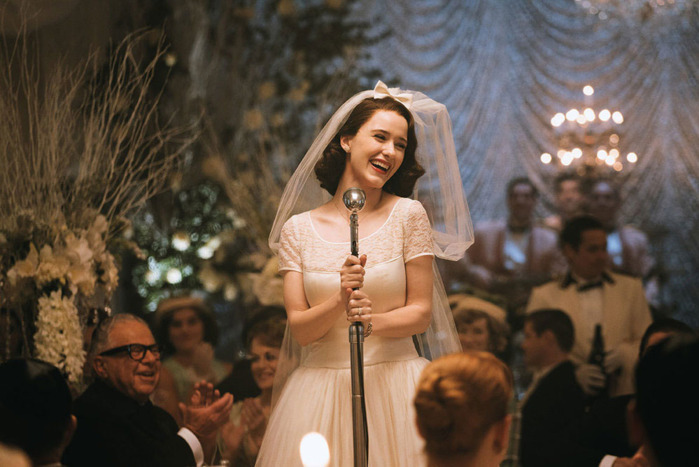 This is a classic lace vintage style A-line dress, like Mrs. Maisel’s wedding dress for example. In the show, you’ll see a lot of pillbox hats with coats, gloves and dresses! 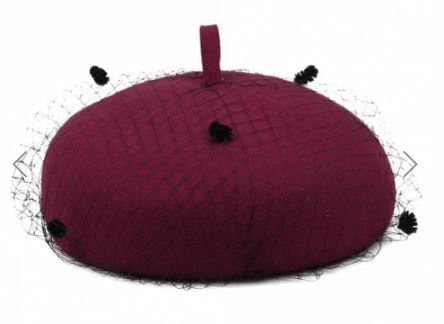 Nothing finishes an elegant vintage look like a beret, such as this one with the veil. 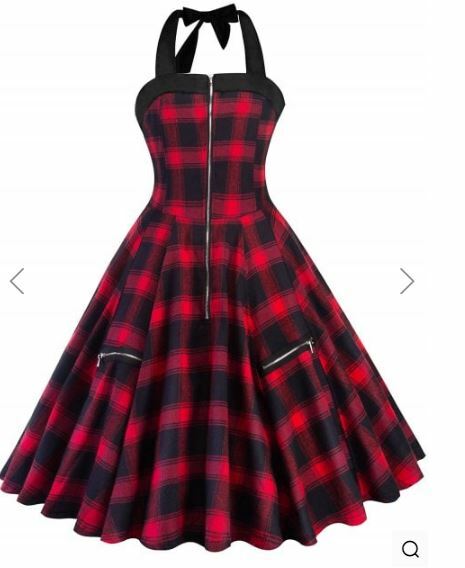 Plaid is a very popular pattern for a classic vintage look, but this dress has a great modern twist to it! Have you watched the show? Did you like it? What is your favorite look from the post? Find more vintage styles here.